Cape Cod! To Lydia Vivaldi, it looks like sanctuary – until she learns her one friend in Quansett is dead. How could a skilled carpenter fall off a ladder at a film shoot? When Lydia lands a cooking job at Leo’s Back End, her questions are stonewalled by the flirtatious filmmaker and resented by the police. 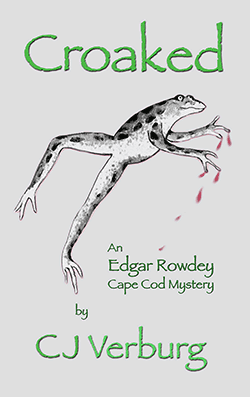 Only Edgar Rowdey, famous local author of creepy little books, shares Lydia’s doubts about the “accident.” Can this unlikely pair of detectives –plus a retired football hero, a hippie bookstore clerk, a Wampanoag cashier, and a pair of Broadway musical writers–find out what really happened before it happens again? Cory Goodwin and Lilah Darnell were rebels in college. Now Cory’s a Boston journalist and Lilah’s the trophy wife of publisher Bruce Easton. 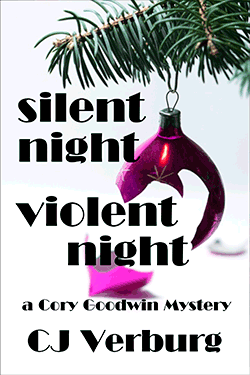 At his posh Connecticut waterfront Christmas party, Cory watches a houseful of eminent scientists and their colleagues turn on each other as a blizzard strands the party overnight. When a string of nasty pranks turns fatal, it’s up to Cory–daughter of New York private detective Archie Goodwin, and the only outsider–to trap the killer. How to classify the extraordinary Edward Gorey? Artist? Writer? Or . . . Dramatist? It was in theatre that Gorey’s artistic career started and ended. After his Tony Award for Frank Langella’s Dracula, he left New York for Cape Cod, where he wrote, designed, and directed a scintillating set of “entertainments” starring local actors and his own troupe of handmade puppets. 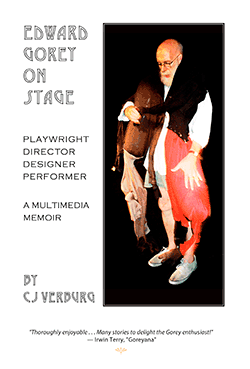 Now Gorey’s friend and neighbor Carol Verburg tells how he did it–from Flapping Ankles and “The Helpless Doorknob” to “Horror at Hamstrung Hall” and Moderate Seaweed. With rare photos, drawings, sound and video clips, and sidelights on Gorey’s taste in music, his cats, his penchant for Japanese literature and French films, his tour of duty in the U.S. Army…. Hot off the e-press! 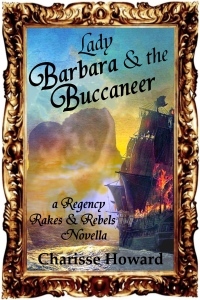 Lady Barbara & the Buccaneer! With Mardi Gras banned in Louisiana Territory, no one but Jean Laffite and his band of smugglers and pirates dares to hold a Carnival. For Lady Barbara Poole, it’s one last fling before she sails home to London. But a masked buccaneer lights a fire in her heart, whisks her off to unexpected adventures, and changes her whole future. 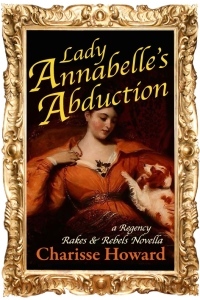 Charisse Howard’s spicy new Regency Romance follows hot on the heels of Lady Annabelle’s Abduction. Don’t miss this scorching new series! Like so many wishes, Lady Annabelle’s comes true, but not in the way she hoped! , B&N, Kobo, or Smashwords for just 99¢ for any e-reader. The most fun you can have for $2.99! 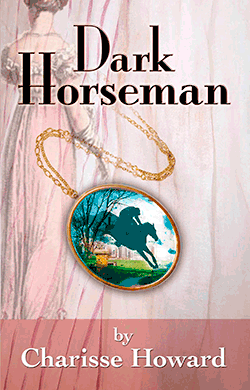 Charisse Howard’s “sweet” historical romance Dark Horseman is a thrilling gallop through the horse country of Regency-era Virginia, full of twists and turns, disguises and surprises, passion and betrayal and Shakespeare!